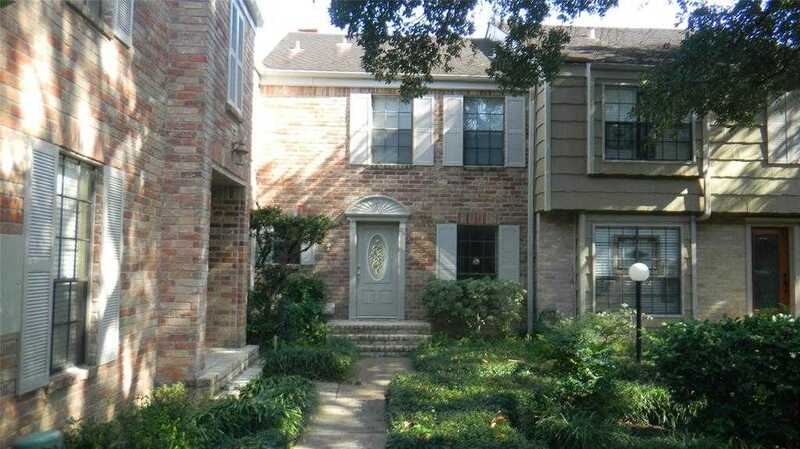 Charming 2 bedroom 2.5 bathroom townhome conveniently located next to First Baptist Church at I-10 and 610 with close proximity to most Houston freeways, Galleria and downtown. Great location! Home has been completely renovated. Large rooms, a lovely kitchen with stainless appliances, granite, lots of storage, large tiled first floor and a 2 car garage. Glass sliding door provides access to a secure, secluded patio that’s great for grilling and plants. Home is located in a lovely oak tree shaded cluster of 41 townhomes. Wonderful amenities included in the reasonable maintenance fee.